ROUND LAKE --A UH-60 Black Hawk helicopter prepares to conduct water bucket training in Round Lake N.Y. April 17 2019. The collapsible buckets which are hung underneath the helicopters can dump 560 gallons of water on a fire each time they are used. 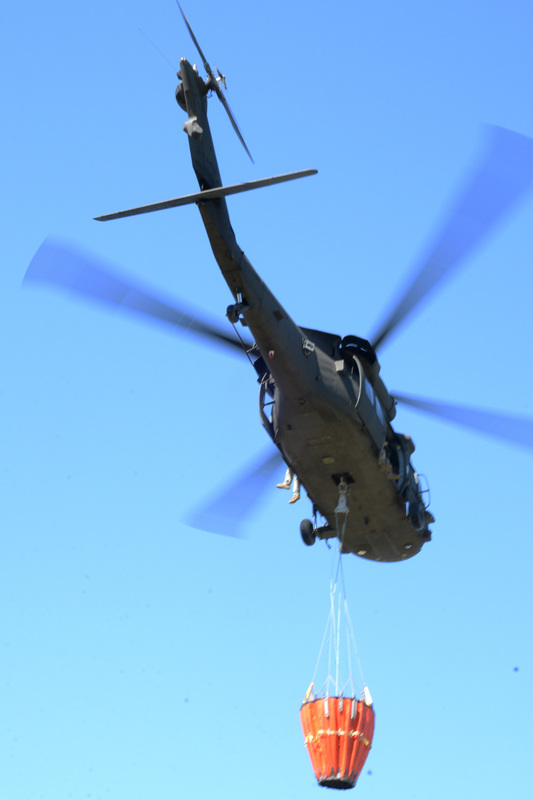 Each spring Army National Guard helicopter crew members and maintenance personnel retrain on how to attach the buckets to Black Hawk helicopters and then practice picking up water and dumping it.